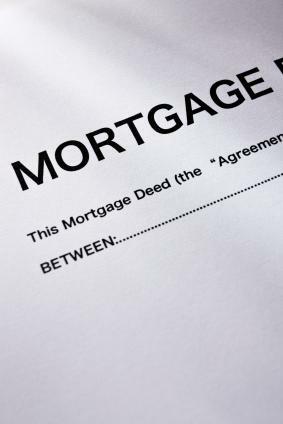 Quitclaim forms, or quit claim deeds as they are more commonly known, are a way to transfer ownership of a property from one person to another. The person can transfer the property as a gift or by selling it, but either way, the individual signs away all rights to the property. When a person makes a transfer using a quitclaim form, he or she does not promise that there is not a lien on the property. The new owner gets the same amount of ownership that the person who filled out the form had. When you sign a quitclaim form, you give up all rights to your property. In essence, you are no longer the owner. Before signing one, make sure you realize this and know that is a legal document and it is difficult, if not impossible, to rescind the transfer. If you were misled into signing one, this could invalidate the form, but you might have to win in court in order to prove it. These forms, which you should always complete in ink or type, have several blanks you need to fill out. The first reads "Filed for Record at the Request of." Here, you should enter the name of the person receiving the property. In the second blank, which is labeled "When Recorded Return to," enter the name of the person who is transferring the property. This person is known as the grantor. You'll enter the same name in the next blank for grantor's name. The next blank will be labeled "consideration." In this blank, you need to enter the purchase amount or indicate that the property was a gift. After that, you will need to enter the name of the grantee, the person who is getting the property. Next, you need to enter the county where the property is and the legal description. In terms of the quitclaim form, the legal description means a description of the property including the tax parcel number, which you can find on the mortgage deed and on property tax forms. Lastly, you need to sign the form and have it notarized. All parties with ownership of the property must sign the form in order for it to be transferred completely. Once that's done, it can be accepted by the grantee. It also needs to be filed with the county so that it can become public record. Note that this information is not meant to be a substitute for professional legal advice. If you have questions regarding these forms, it's smart to consult a lawyer. You don't want to find out after the form has been filed that you made a mistake that could cost you a property.